Pe site-ul Președintiei Ucrainei a apărut în premieră noua stema a Serviciului de Informații al Armatei din Ucraina, în care, pe fundalul globului pământesc, o bufniță ține în gheare o sabie ce pare să străpungă harta Rusiei. 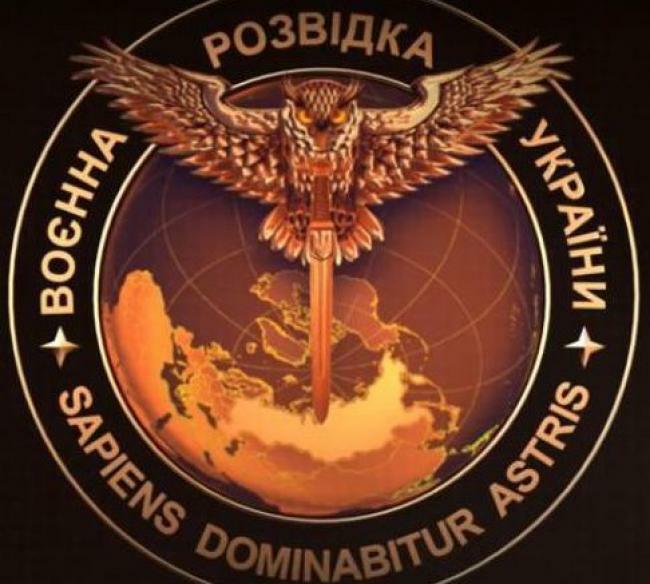 Circumferința imaginii este mărginită de inscripțiile „Voenna rozvidka Ukraini” (Serviciul Militar de Informatii al Ucrainei) și «Sapiens dominabitur astris» – ”Cei înțelepți vor domni peste stele”. Presa din Rusia a reactionat vehement impotiva acestei ”provocari”, unele publicatii cerand oficialilor un raspuns, inclusiv militar. S-a facut legatura intre István Győrkös-ucigasul unui politist, crima comisa recent si GRU-serviciul rusesc de informatii. De mentionat ca István Győrkös-este liderul unui partid nazist ungar. Acesta a avut mai multe intalniri cu membrii ai serviciilor secrete rusesti ale armatei, servicii care I-au fabricat diferite poze si documente (false daca cumva trebuie sa repet) compromitatoare la adresa Ucrainei. Western intelligence has known for some time that Vladimir Putin bankrolls significant elements of Europe’s far-right. Just as the KGB clandestinely supported Western left-wing radicals and terrorists during the Cold War, today the ideological tables have turned and now the Kremlin is backing militant right-wingers, who share much of Putinism’s nationalist and traditionalist worldview. This is going on in numerous NATO countries, and one of the most prominent is Hungary, which possesses a powerful far-right political movement which boasts a militant and dangerous fringe. On Wednesday, in the village of Bőny in northwest Hungary, close to the border with Slovakia, officers from the National Bureau of Investigation, Hungary’s FBI, attempted to execute a search on an apartment that was believed to contain illegal weapons. The weapons were reported to be in the hands of István Győrkös, a longtime far-right activist who was well known to the authorities for his radicalism. Involved in Hungary’s neo-Nazi scene since the waning days of Communist rule in the late 1980s, Győrkös had participated in a wide array of ultra-nationalist antics, some of them violent. Despite his advanced age of 75, police considered Győrkös to be potentially dangerous. Back in the early 1990s he spent a year in prison for disturbing the peace and possessing illegal weapons. More recently, he had run training camps around Bőny for neo-Nazis from both Hungary and Germany, where illegal weapons had been used, according to locals. When police officers approached his door, Győrkös opened fire with an assault rifle, shooting two policemen at close range. One was wounded in the chest while the second, Péter Pálvölgyi, a 46-year-old major, was shot in the head and died almost immediately. Győrkös was eventually taken into custody with a gunshot to the back that penetrated his stomach. He is in the hospital and reported to be in stable condition. This case ought to serve as a warning to the West that Putin’s Russia is branching out to clandestine support for terrorists in our countries. Prime Minister Viktor Orbán sent his sympathies to Pálvölgyi’s family with the statement, “It is unacceptable in Hungary for anyone with any motive to attack those who maintain law and order.” Hungary has little gun crime by American standards, and shootings of policemen are very rare, so the entire country is in shock over the incident. The most interesting aspect of this unfortunate killing is who stands behind it. Images of the elderly and portly Győrkös running around in camouflage uniform, training young right-wing radicals, no longer seem semi-comical, but deeply sinister. There’s no longer any doubt that he and his group possessed military-grade weapons, since one of them just killed a policeman. Where they obtained these illegal guns is an important question that needs to be answered. Secret connections to the Kremlin are now becoming public too. In particular, Győrkös and his self-styled band of neo-Nazis, publicly professing hatred for Jews and Roma, can be linked to GRU—that is, Russian military intelligence—according to security officials in Budapest. 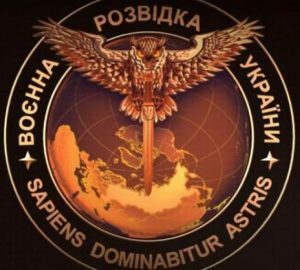 His GRU ties got the attention of Hungarian counterspies last year, when Győrkös posted photos online, including on his Facebook page, that he claimed depicted Hungarian weapons, including a T-72 tank, that were allegedly being sent to Ukraine to fight Russian forces in that country’s east. Győrkös explained the photos were “reader submitted.” This resulted in public uproar and a formal protest by the Kremlin to Budapest, which replied that the matter was a deception scheme perpetrated by Moscow. Hungarian intelligence determined that the images were supplied to Győrkös by GRU, which considered this trickery a successful smearing of a NATO country. The elderly neo-Nazi turns out to have been engaged in even more nefarious Russian-sponsored activities. Budapest has learned that Russian “diplomats”—they were suspected of being undercover GRU officers—made frequent visits to Győrkös. Sometimes the Russians even participated in mock battles with airsoft weapons, realistic-looking assault rifles that shoot plastic pellets. Hungarian security officers monitored some of these activities and have photos of the GRU operatives cavorting with armed right-wing radicals, according to intelligence officials in Budapest. The murder of a policeman will now spur an overdue investigation of exactly what Russian spies were up to in the backwoods of northwestern Hungary. This week’s shooting has exposed the violent underside of the Kremlin’s sinister backing of neo-Nazis and related far-rightists in Europe and beyond. This threat exists throughout the West, wherever there are far-rightists looking for assistance and sponsorship, but Hungary is a particularly bad case, as revealed by detailed analysis of Kremlin covert action in that country. Its far-right is politically powerful and genuinely radical—Hungary’s Jobbik party openly espouses anti-Semitism along with pro-Moscow views—as well as deeply infiltrated by Russian intelligence. Former Jobbik members have stated that party leader Gábor Vona, who has made many trips to Moscow to meet with Russian officials, among them the far-right “geostrategist” Aleksandr Dugin, is actually a Kremlin agent. Another party stalwart, Béla Kovács, who has been a member of the European Parliament since 2010, was accused by Budapest of being a full-time Russian spy, apparently for decades. His pro-Putin views are so undisguised that Kovács for years has been referred to as “KGBéla” by members of his own party. The tragedy in Bőny demonstrates that Moscow’s clandestine influence in Hungary extends to violent individuals and groups that threaten peace and order in Europe. If GRU officers armed and trained István Győrkös and his neo-Nazi gang, that’s something the Hungarian public needs to know. 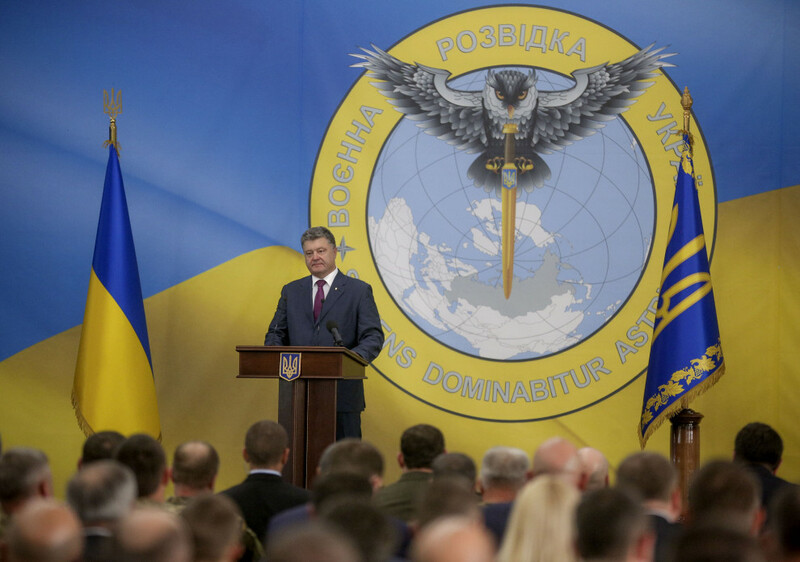 Such Russian-sponsored illegal activities must be halted before more people get killed. Se stie ca Rusia vrea sa destabilizeze civilizatia sustinand scursurile ei, precum nazismul. Rusii sunt extremisti, iar Rusia e un stat terorist. Iar liderul nazist István Győrkös trebuia sa raspandeasca materialul fabricat de serviciile rusesti ale armatei, in mass media….printre altele. Generalii din armata SUA refuza sa dea ordinele care pot duce la inceperea razboiului si deja sunt generali si amirali care si-au dau demisia din armata SUA ptr ca nu vor sa lupte pentru Banksterii care sunt bestiile criminale ale planetei,care prin coruptie au pus mana pe institutiile Statelor Unite pe care vor sa le foloseasca pentru a impune planetei Noua LOR ordine Mondiala, in dispretul si paguba a 6 miliarde de oameni care vor trebui sa moara ca asa doresc aceste bestii criminale! Criminali sunt agresorii, si nu victimele. Tie iti place sangele, iubitor de moarte. E un articol de cacat din 2015 care face parte din propaganda. Cap ai, minte ce-ti mai trebuie. Evident, n-ai nicio dovada. Doar acuzatii aveti. circa 33,5 miliarde de dolari anual. La capitolul narcomanie si alcoolism, Rusia depaseste toate cele 28 de state membre ale UE luate la un loc ! Pentru toti trolii rusi: Plecati criminalilor din Moldova, Georgia si Ucraina. Agresorul este Rusia, pareti ca nu stiti pe ce lume traiti, papuse fara creier. Si sa le mai pui si pe nasul OLR ! Bogdanele tata, ai luat-o razna rau. Au dreptate astia cand te fac labagiu! Asta nu este postare de om normal la cap. Du-te la doctor !!! Mai Carsteo sunteti 3 in 1 troll ! Mananca caca la troaca nu aici ! ROMANI ! Daca sunteti patrioti cu adevarat atunci „trolati ” aceasta pagina a bestiilor tradatoare de tara, care sustin un razboi dorit de dusmanii Romaniei, razboi care nu este in interesul romanilor. In aceste conditii, a combate niste bestii tradatoare care propovaduiesc CRIMA prin razboi este o obligatie morala si o datorie patriotica a oricarui roman care doreste pacea si binele natiunii sale. Aceste bestii tradatoare care va instiga la razboi sunt dusmaii Romaniei cozile de topor a imperialistilor de pe Wall Street, cei care conduc azi SUA si au facut din democratia americana si din „american dream” un cosmar al SATANELOR UNITE ale AMERICII, care de 25 deani agreseaza tari si popoare cu scopul de a le jefui! Romani TREZITI-VA, combateti acest site si dati de pamant cu tradatorii vanduti dusmanului care vor sa distruga poporul roman ! Rusia te plateste sa faci spam, papusa fara creier. Dar pe borcanel cine-l plateste? Ca posteaza aceleasi tampenii de luni de zile, repetitiv, ca un trol. Indiferent de subiect, el da copy-paste dintr-un articol din care rezulta ca ciuma bubonica a fost inventata de rusi. Nu stiu cine e „borcanel”. Papusa toni, cand acuzi trebuie sa aduci dovezi. Eu stiu ca pentru tine ca rusnac si propagandist platit, daca tu crezi o minciuna cu ardoare e adevar, dar pentru mine adevarul este ceea ce corespunde realitatii. Idiotule, păi românii îi urăsc pe ruşi şi pe unguri, fraiere! Noadă, ţi-a mai spus cineva că eşti prost? Nespălatule, trădătorule, tu vorbeşti de poporul român diliule? Da, eu vreau un război în Siria între amerloci şi putlerişti! Doar aşa vor scăpa sirienii ne năpasta roşie care s-a abătut asupra lor. Vrei pe ma-ta razboi, cretinule. Vrei razboi din caldurica de unde postezi. Jeg platit. noi Romania nu suntem frati cu tine trollule ! noi in fapt nu am fost NICIODATA frati cu godacii OLR ! Tudor Carseta – adresa de facebok. A renuntat la Putler ca poza de profil recent. Acum e un loc gol. Nimic nu ar putea sa-l inlocuiasca! 🙂 Insa pe pagina sa raman inca destule. OLR ar trebui sa dea un raspuns prin supt ! Sa ne-o suga la toti Europenii nu doar la Ucraineni ! da halatu’ ia zi cat e halatu’ ?